$37.99 $84.99	Get Your Stuff! 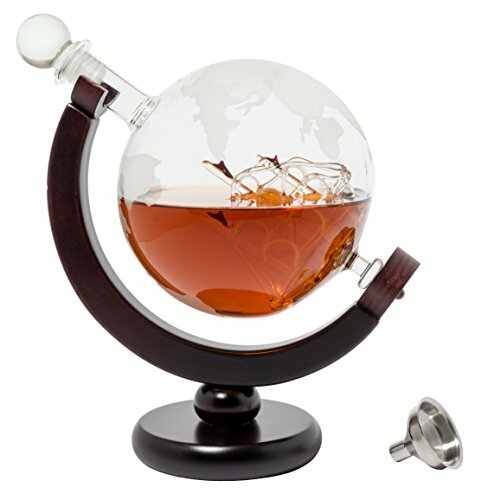 Have you ever wanted to drink your way around the world? 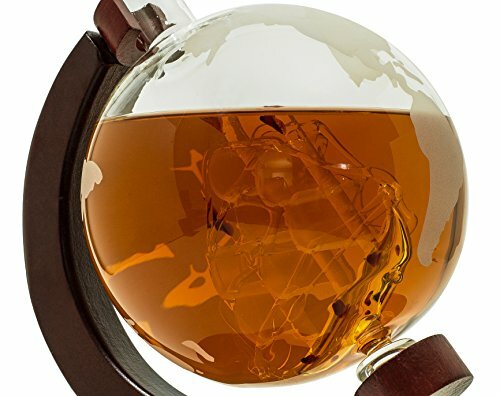 Now you can with this awesome Glass Globe Whiskey Decanter. 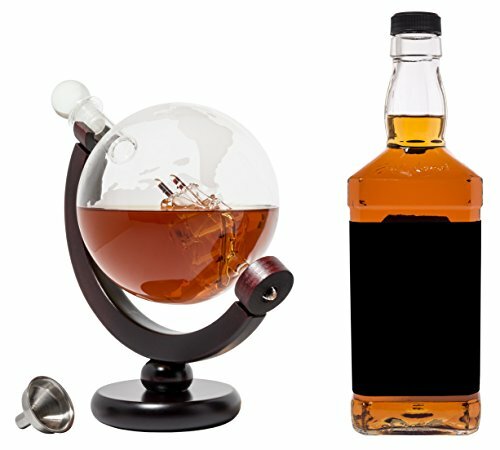 It’s perfect for anyone who appreciates fine spirits or wine or at least, likes to try liquors from anywhere and everywhere around the world. This thing just screams class and would be the perfect addition to your man cave or bar area. 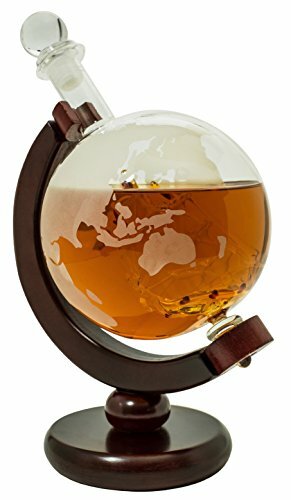 The 850 ml hand blown glass globe will hold an entire (standard) bottle of liquor or wine and features an (sort of accurate) etched map of the world with a glass sailing ship within. 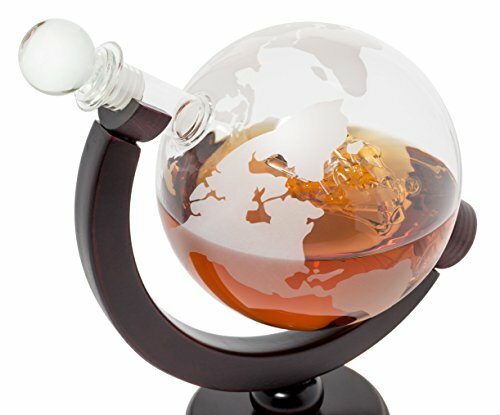 A tight fitting glass stopper keeps air out of the globe, so your spirits remain flavorful, and their aromas stay robust until you decide to enjoy them. 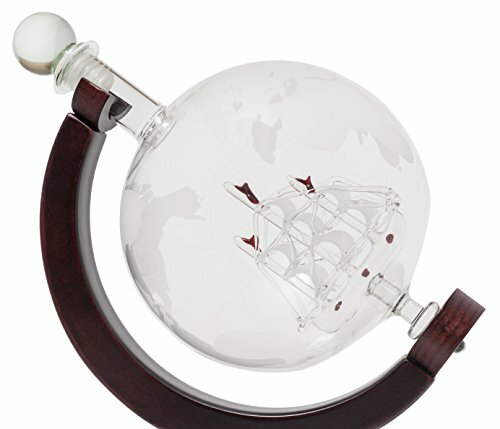 The globe sits atop a real wooden stand. No particle or glue board here. 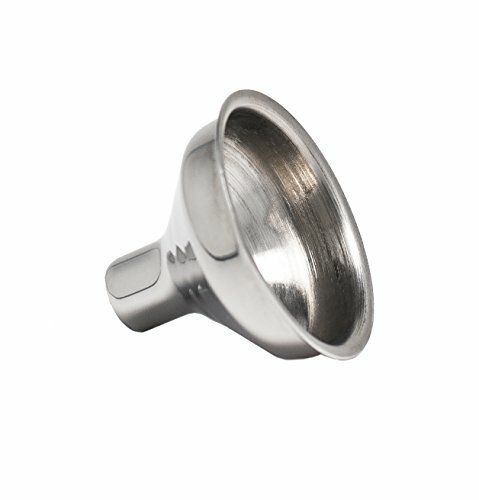 It also comes with a funnel to make filling the globe quick and easy. Even makes the cheap stuff look classy.